Gathered here are a variety of images of both common and exotic sights in the sky. 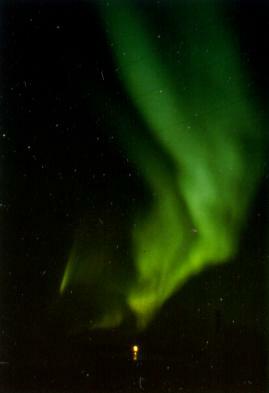 Sudbury geologist Wilf Meyer took the accompanying shots of the aurora borealis from Yellowknife, Northwest Territories, during the winter of 1979-80. 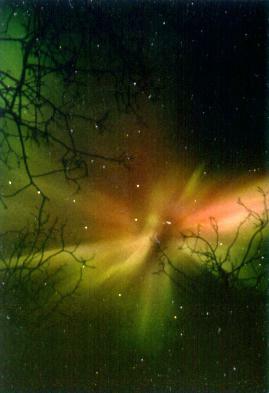 The original slides were duplicated with his permission, and a selection of the images is presented here. Note the variety of shapes evident in the displays. 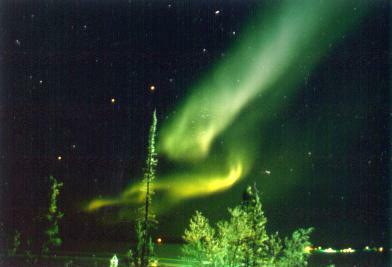 Wilf spent many a winter evening watching the auroral displays from a lawn chair in his snow-covered backyard in Yellowknife, occasionally snapping a photograph when the views became particularly interesting. 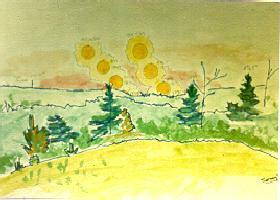 Students have also produced very colourful drawings of sunsets for a first-year observing project. 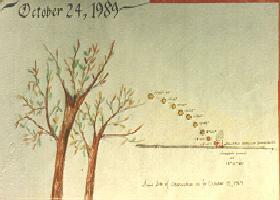 The one immediately below was drawn by Mike Turney, and the two below that were drawn by Sharon Kimball from the bathroom of her parent's house in Dartmouth. Her brother was also taking the course at the time, and was cut off from the bathroom at such times! 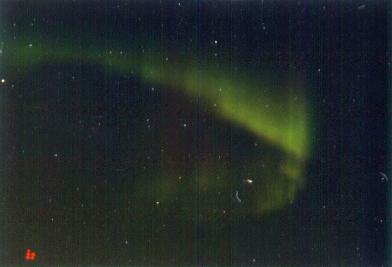 The following images display a series of photographs of sunrise that I obtained from the back deck of my house in Cole Harbour during the spring of 1990. 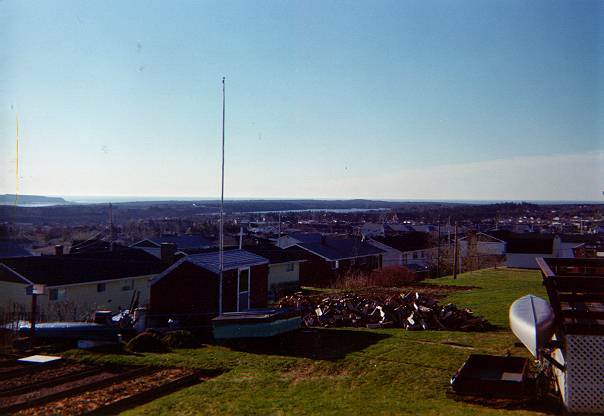 The first image is a daytime view over the Atlantic Ocean and Cole Harbour marsh from my deck, a view that has since been destroyed by our neighbours, who recently built an addition to their house in such a fashion as to remove our direct view of the Atlantic. So much for Nova Scotia's "line-of-sight regulations" and the spirit of "good neighbourliness"! 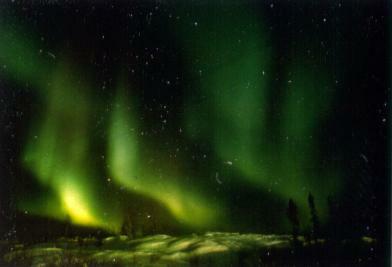 The original images were published in the Journal of the Royal Astronomical Society of Canada, 90, pp. 1-6, 1996. 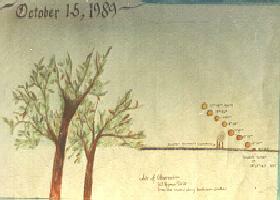 One of them was used as the cover image for the Journal during the 1996 publishing year. Figure 2. 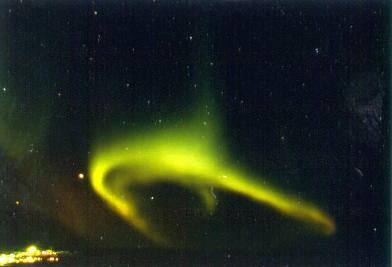 Cole Harbour Observing Site. Figure 3. 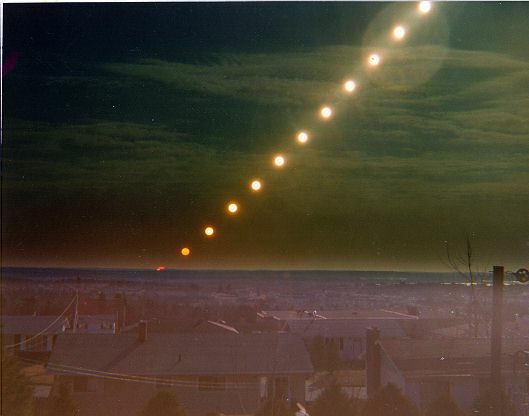 Sunrise on April 19, 1990. Figure 4. 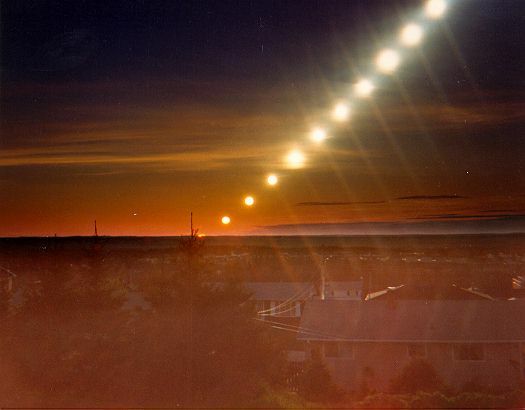 Sunrise on May 3, 1990. Figure 5. 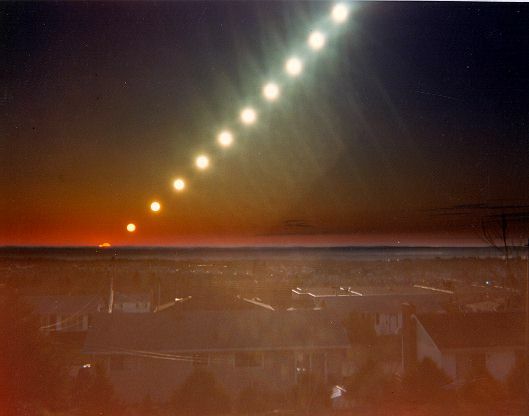 Sunrise on May 26, 1990. 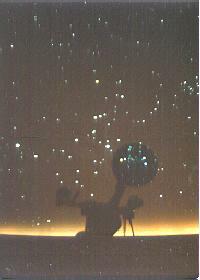 The view above is the winter sky presented on the dome of the Doran Planetarium, with the projector ball filling the lower right part of the field. The bright star at the 8:30 position is Sirius, the brightest star in the night sky. My home is located one street over from Sirius Crescent, which the locals pronounce as "Cyrus" for some obscure reason.